Bagpipe the Black Grouse loves admiring his glorious red eyebrows and his magnificent straight tail feathers. He feels sorry for his friend, Squeaker the Wood Mouse, with his boring brown fur and bendy tail. But Squeaker's help, along with brown-ness and bendy-ness, might be just what Bagpipe needs when he gets into some serious fox trouble. 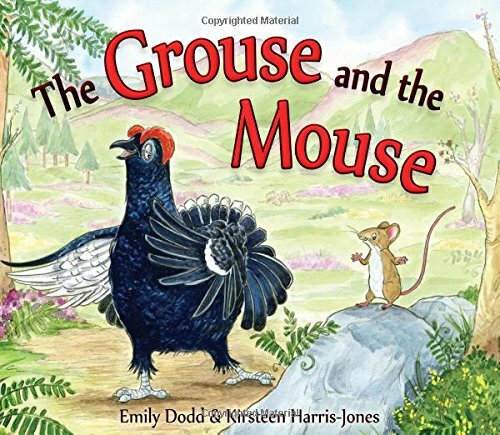 Starring two of Scotland's best-loved residents, an endangered black grouse and a wood mouse, this is a funny and heart-warming tale about valuing difference, from the author of Can't-Dance-Cameron.